We know IKEA for being the one-stop shop for all things home and decor with their fun and functional designs, smart space-saving options, pretty prints and especially affordable prices. But this April, if there's one thing you should to IKEA for – it's nasi lemak. Yup, the all-time favourite local dish will be the star dish at the restaurant all of April. Keeping it local and classic, you can look forward to fragrant coconut rice, a side of meat, a boiled egg (old-school nasi lemak style), cucumber slices and some fiery sambal. 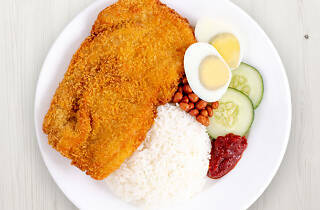 Every week will also feature a different nasi lemak dish. 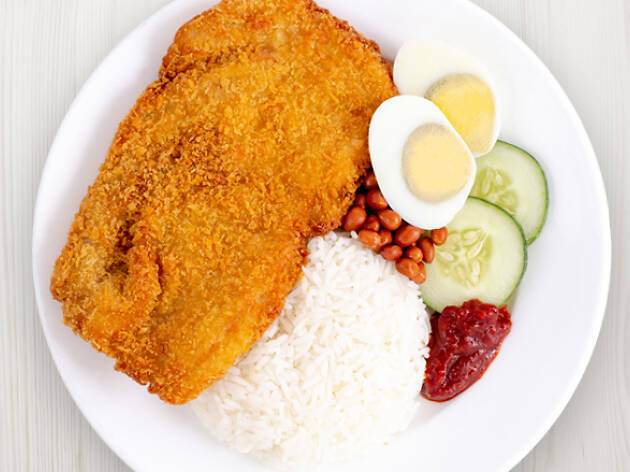 From April 1 to 5, the nasi lemak with chicken chop will be available, April 8 to 12 will see the dish with chicken leg at its side. Nasi lemak with fish fillet will be served on April 15 to 19 before ending the glorious month of April with some chicken cutlet to accompany the dish. Each plate goes on sale for $6.50 and will be available only in the non-halal section. Got no plans for brunch in April? IKEA nasi lemak and some home shopping it is. Or you could also beat the crowd and settle for a wholesome local breakfast elsewhere in food-crazy Singapore.